CBC Training Program is a Function A/C/D course according to the EU Directive 2010/63 (article 23.2), accredited by the Federation of European Laboratory Animal Science Association (FELASA). 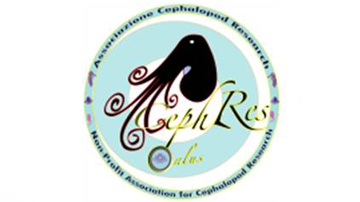 CBC is a CephRes project originated from the Cephalopod Biology and Care Course developedunder the aegis of the COST Action FA1301. Cephs Biology and Care course provides theoretical and practical introduction to handling, housing, care and use of cephalopods as ‘laboratory animals’ and how to replace, refine and reduce the use of live cephs in research. It covers practical implications for research, including cephalopod biology, maintenance and care, capture, housing and handling, health and welfare management and assessment in any context, in compliance with Directive 2010/63/EU. CBC2019 course is open to people who perform the functions, as stated in article 23 of the Directive 2010/63/EU: carrying out procedures on animals, taking care of animals, killing animals. CBC2019 course program is designed to provide 40 hours of training including, lectures, case study/problem-based learning (PBL), student’s presentations, seminars/tutorials, practical training, etc. The full list of Modules and Learning Outcomes included in the course is available here. Cephalopod Biology and Care Course includes cephalopod species-specific training encompassing information useful to qualified veterinarians and technicians, people required to handle cephalopods including capture from the wild, especially in light of the Directive. The course covers also non-invasive or minimally invasive approaches as applied to cephalopods, and management and assessment of Cephalopod Welfare including establishment and monitoring of their physiological and behavioral needs. The final results of the assessment will be published after the Course. According to the above-mentioned recommendations, each ‘student’ will be individually assessed for the achieved learning outcomes (final examination – late afternoon of the fifth day). In compliance with the requirements above-stated and to support students who need help to complete the course, students that did not pass during the final examination session will be allowed to attend a Exam Retake session organized no later than two months of the final examination. 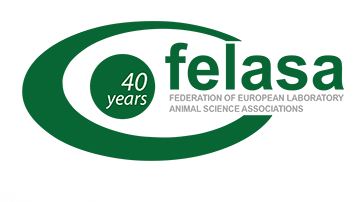 The official registration to the CBC2019 FELASA A/B/C course is closed! Registration is on first-come, first-served basis; please consider that SPACE IS LIMITED! A maximum of 25 trainees maybe accommodated! There are two registration fees: one for people that want to provide lodging on their own, and one including course registration, lodging and all lunches plus a farewell dinner. People that want to have independent, single accommodation should add 160 euro. All payments are in EUR. The registration system will take your data in respect to the privacy and the most advanced data-encryption method to secure your data. After processing your registration you will receive a link according to the payment method selected during registration. The link will be valid for 48 hours only! If payment will be not completed as expected, your registration will not be finalized and Local Organizers will contact you as follow-up. We accept credit cards and payment through bank transfers. After your payment is verified your registration is finalized. The confirmation of payment of the registration fee is the sole method to assure confirmation of registration. This will allow starting of accessing Students’ SharePoint and the preliminary training required to fulfil the Training & Education Criteria required by this course. Registration Fee will be invoiced. Bank charges and any additional fee related with the payment are at own expense. We do not accept payments by check, at dates not agreed and/or at the Venue. Partial refund of the Registration Fee will be provided in case of cancelling within 19 January 2019 (2:00 pm CET); a 200 euro secretarial costs will be deduced from the registration fee, as cancellation fee. In case of cancelling on a later date Euro 400.00 will be invoiced. There will be a 100 charge for no-shows. For people cancelling and/or not-show and that selected and agreed for the Full Registration Fee consider to add 150 Euro to the above cancellation fee as compensation of the single day accommodation, including taxes. The cancellation fee will be invoiced. No financial support will be provided. The Instituto de Ciencias del Mar is the Venue of this CBC2019 course. ICM is located in Passeig Marítim de la Barceloneta, Barcelona (Spain). The Institute, belonging to the CSIC holds two different research areas: Natural Resources and Agricultural Sciences, the latter involving research on the aquaculture of important commercial species. It is the largest marine research center in Spain and one of the most important in the Mediterranean region. Its mission is entirely devoted to the study of oceans and seas. With a team of over 200 specialists in different fields spanning from physics, to chemistry, geology and biology, ICM provides a broad vision of the marine ecosystem, and the ability to assess changes and human impacts on the environment, thus to contributing to seek appropriate solutions. The ICM is also committed to communicating and disseminating knowledge acquired through scientific activities. To favour the scientific activities the ICM possess various technical and support services. All the experimental procedures that are part of the CBC2019 program will be carried out at the ICM-ZAE (Area of Aquariums and Experimental Chambers). ICM-ZAE is one of the most modern facilities available in the Mediterranean area, and designed to hold various kinds of aquatic organisms and to facilitate research in different aspects of their biology. It occupies an area of 650 sqm and consists of several rooms with aquariums, eleven thermoregulated chambers, a wet laboratory and a dry laboratory, etc. The seawater is obtained from an underwater intake placed at 300 meters from the coast (10 m depth). A storage tank of 7000 liters can be used to work with water from other areas. The facility is computer-controlled and monitored 24 hours a day by a system of sensors connected to alarms. The Mediterranean seawater can be customized to different treatments of filtration, temperature and salinity and can be supplied to 150 aquaria (15 – 5000 l), equipped with controlled environmental variables (e.g. light intensity and photoperiod, dissolved oxygen and nutrients). Barcelona is the second largest city in Spain, and the venue of the first Scientific Meeting of the COST Action FA1301. It is under the aegis of the COST Action FA1301 that this FELASA accredited course has been developed. ICM has been also the seat of the CBC-ASP2016 edition. Located in the coastline of the Mediterranean Sea North East of Spain, Barcelona is the capital of Catalonia, a Spanish region with its own culture and language. Barcelona is one of the preferred cities of Europe for congresses and tourism, thanks to its nice Mediterranean weather, modern art and architecture and excellent public transport, housing and food facilities.